Deep shade gardens can be alive with texture and color providing you choose the right ground covers and foliage plants. Creating a shade garden is not always as simple, or as cut and dried, as it may seem at first. To begin with, most backyards have varying amounts of shade throughout the day. Some areas may have deep, dark shade all day long, with barely any sunlight reaching the ground. Other areas however, may get a fair amount of sunlight either in the morning or afternoon, but remain well shaded during other parts of the day. Still another type of shade environment occurs when your garden has filtered sunlight almost all day long. The first step, then, in creating a beautiful shade garden which will flourish with amazing colors and flower blooms, is analyze the type of shade in the area that you want to plant. In this article, we focus on making the best of deep shade areas. Although relatively rare, very deep and dark shady areas can be present in a residential yard and garden. For any area like this, consider adding a landscaping feature such as a garden statue, bird house, or water fountain. Another option is to turn the area into a woodland garden, or backyard habitat, which is friendly to local wildlife. Consider leaving large shady areas beneath towering maples or other shade trees in a natural state, allowing native plants to take hold as they will. In this fashion, you may find the maples soon become interplanted with ash trees, virginia creeper vines, ivy, violets, wild columbine or wild geranium, which can be tamed somewhat by the addition of sweet woodruff or vinca (also known as periwinkle) ground covers. 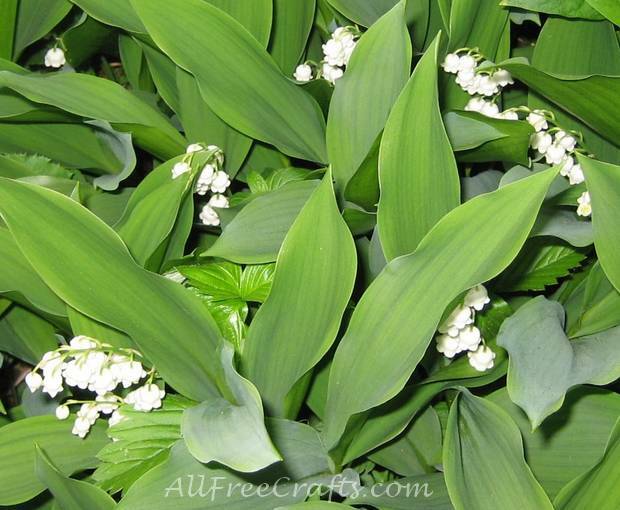 Fragrant lily of the valley also grows very well under trees. If a deep shade area is also moist, you may have the perfect conditions for a mushroom garden or moss garden. Both of these plants do quite well in deep shade, and there are some interesting and unusual species to try. You’ll also find that many types of hostas grow well in deep shade, as do most ferns. 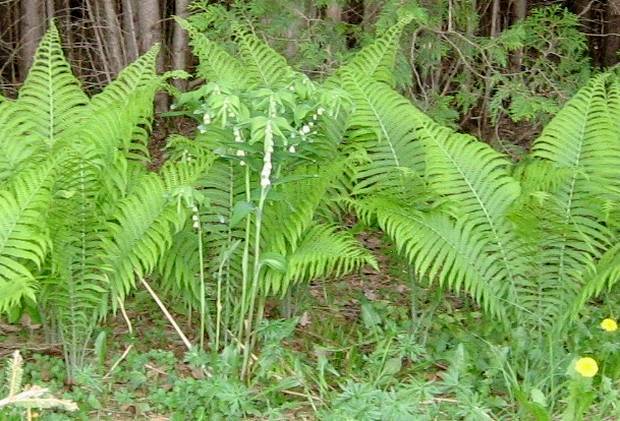 The lady fern for instance, and the Japanese painted fern are two which tend to grow just fine in deep shade gardens, while the maidenhair fern is valuable for its airy, delicate foliage. The ostrich fern, valued for producing edible fiddle heads in springtime, is majestically tall, growing fantastic fans of medium green color on the edge, and in the middle of, shaded woodland. Other plants you might want to try in your deep shade garden include solomon’s seal, blue cohosh, ivy, wild ginger, western bleeding hearts, and primroses. Variegated bishop’s weed, sometimes called gout weed, is very easy to establish and will brighten any dark corner – however, it spreads quickly and can be invasive, so keep it well away from more formal borders. Ajuga, or bugleweed, is another solid groundcover for shade; burgundy glow is a pleasing variety to try, with tricolor foliage of white, pink and green. It can also quickly take over, so plant accordingly. Give shade plants a fighting chance even in dry areas by ensuring that they’re not too small and fragile when you plant them. If necessary, grow the plants in easier areas first and allow them to mature; once they have healthy foliage and a decent rootball, transplant them to the drier area, and water well until they are re-established.